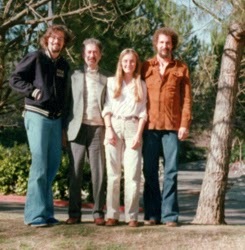 We had moved to California in 1973, and I suppose stayed here in part because of Joe and Vivian, who had welcomed us from the first and who were the patina on those early years of discovering an unknown land. For two decades we talked or corresponded—toward the end, e-mailed—almost every day, mostly about 19th-Century Music, the journal we founded together with Robert Winter in 1977. In the introduction to Essays for Joseph Kerman (19th-Century Music 7/3, a double issue published on April 3, 1984—his birthday), I tried to evoke the merry circumstances of the magazine's birth and something of the power of his pen. 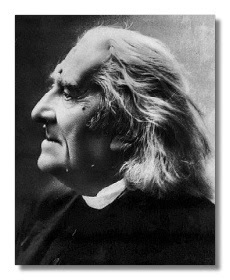 He was, as noted elsewhere on this site, the brains behind the original “Dear Abbé,” and a certain amount of Writing about Music (3rd edn. 2014, first published 1988 for the tenth anniversary of the magazine). For “Joseph Kerman: Bibliography” (pp. 192–98 of the Kermanschrift) I found and read everything he had written until then. Nothing was more formative to my own developing ideas of mission and strategy than reading all those pieces in a row. 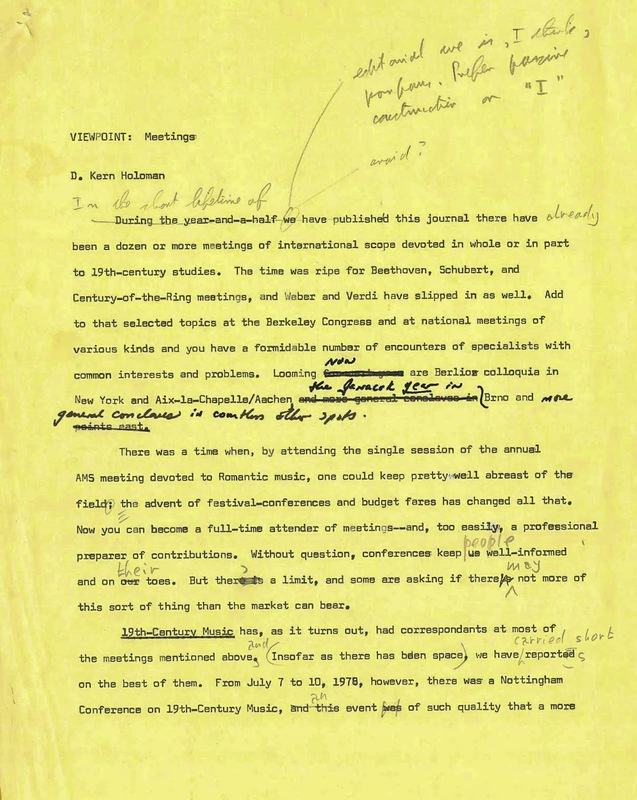 At the Press and the magazine, and in his inner circle (Vivian, Gary Tomlinson, Walter Frisch), we pushed Joe toward an anthology of what he thought his best writings, and the result was the fine volume Write All These Down (1994). It begins with his famous pieces “A Profile for American Musicology” (1965) and “How We Got into Analysis, and How to Get Out” (1980). Meanwhile there had come The Masses and Motets of William Byrd (1980) and the great Beethoven article with Alan Tyson, published in book form as The New Grove Beethoven (1983). Contemplating Music: Challenges to Musicology (1985) was the last of his works I was able to study in its genesis and execution. He began to be the guru of the “New Musicology,” of which I thought I might disapprove, and I became more consumed by conducting and administration and things French. Still his work kept coming out, each new book drawing us again to the canon: the Charles Eliot Norton lectures at Harvard, published as Concerto Conversations (1999), The Art of Fugue: Bach Fugues for Keyboard, 1715–1750 (2005), Opera and the Morbidity of Music (2008). You simply didn't know what to think, and by the time you did, he was off on his compelling list of reasons why sitting in tidy rows to worship the Great Masters in silence had to change. And he was right, or pretty close to it. One cannot define criticism; one must be content with exemplifying it—bearing witness, as it were—and, sometimes, writing around it. Professing, one might say. The memory of Joe that rings truest is that of his voice—rich-hued in sound, grand in the manner of Charles Rosen, gentle as Michael Steinberg. It is at once musical and musicianly: commanding, compelling, and comforting. Transfiguring. Listen to it. (American Musicological Society). GIFTS TO SAME (choose Joseph Kerman Endowment). D. Kern Holoman is curator of Musicology Now and was a co-founder, with Joseph Kerman and Robert Winter, of 19th-Century Music, which continues to be published by the University of California Press and to maintain an office on the Davis campus. I came to graduate study at Berkeley in 1961 as someone unschooled in the labyrinths and habitudes of musicology and with great gaps in cognizance of repertory, and Joseph Kerman became a formative guide to me. I recall especially my two first-year seminars with him. One dealt with 16th-century English sacred polyphony that addressed not just style and imitative techniques of various composers, recusant oppression, and Italian influences on English music, but delved into music/text relations and expressive depths realized in key passages. 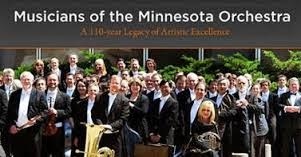 From this experience came an abiding connection with the motets of Thomas Tallis and William Byrd. The other was a seminar in Verdi opera. By approaching the works “as drama” and presenting them in part through the writings of Abramo Basevi, he awakened in me a real love for opera, a genre that had been opaque to me. Our final test had two parts. One was a written discussion-analysis of a passage from the end of act III, scene 1 of Falstaff that was to cover a wide range of aspects from unusual harmonic progressions to dramatic effects of reminiscences from earlier in the opera (“Reverenza!”). For the on-the-spot examination, we were told simply to know Falstaff well. We expected to have the usual listening identification exam—locate excerpted passages within the work, identify the character singing, comment on the importance of that dramatic moment and significance of the excerpt. What we got instead was a libretto of Gianni Schicchi, a single hearing, and the instruction to write on the influences from Falstaff that we perceived in the piece. A typically imaginative way of assessing whether we could indeed apply much that we had learned that semester to a practical situation, and a task that was stimulating for us, the students. Joseph Kerman was unfailingly kind to me, and even entrusted me to scout the complex of watermarks in the “Kafka” sketchbook for his 1970 edition—I was at the time in London carrying out research in the distant realm of Aquitanian polyphony. 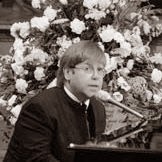 I have always admired the thoughtfulness with which he regarded the enterprise of musicology, his commitment not just to the academy but to the wider community of intelligent music listeners and to the education of young listeners, his genuine devotion to and appreciation for the music of many eras. Coming unexpectedly upon his obituary in last Sunday’s New York Times, I felt a real pang of loss, but also a surge of gratitude for his teaching and for what he stood for in the profession. Rereading segments of Opera as Drama or The Beethoven Quartets has always invigorated me, and these studies, along with others, will, I believe, continue to inspire positive actions and reactions among musicologists for decades to come. His just-published Contemplating Music was one of the reasons I chose Berkeley for graduate school in 1985, and I was awed and a little cowed to have him lead the “musicology boot camp” course for entering Master's students. Later, as I was preparing for my comprehensive exams, he helped lead me through a focused independent study on Schubert, whom I had chosen as the "outside focus" for the comps, and I learned to love and understand that repertory much more deeply thanks to his guidance. At my doctoral graduationhe made a point of running up to his office for his regalia so that we could have a good “photo-op”; and ever since then he was always kind, gracious, generous in our interactions. He lived a long life, and shaped our discipline in so many important ways. May his memory always be for a blessing. A giant. I count myself lucky to have studied with him (I even TA'd for his Beethoven class). One of his best, and simplest, teaching strategies was to have those of us in his Renaissance proseminar sing and play through whole volumes of the complete edition of Clemens non Papa, as a way of acquiring a trained ear for the period's style, and also in order to actually make use of one of the many Gesamtausgaben piling up on the library shelves. When I first started in musicology more years ago than I will admit, one of my teachers stated that his mentor thought some of Kerman's language a "bit too vernacular." I disagreed then and I disagree now. Who among us will ever forget the line, directed at Puccini's Tosca: “that shabby little shocker” ? In my dissertation, I quoted one of my favorite Kerman passages, from an article of his from 1980, “How We Got into Analysis, and How to Get Out.” Lamenting back then that “expression in music” seldom plays a role in musicological discussion, Kerman concluded that when anyone states such is “beyond the confines” of their study “one hears the sound of windows closing.” Just these seven words made a profound impression on me. They still do. Kerman opened many windows and doors. I daresay he will continue to inspire that in we who remain. He not only was a great scholar, he actually loved music. I had looked forward to sending Joe Kerman greetings and perhaps a bottle on his 90th birthday next month! He was my principal mentor at Berkeley and was enormously kind and helpful to me. One example, I had been a history and social sciences major in college and had a relatively weak background in music other than piano playing (not that I was strong in that either). Joe spontaneously volunteered to meet with me one-on-one every week to talk about, well, thinking and talking about music (mainly about Beethoven quartets—he was working on the book then). 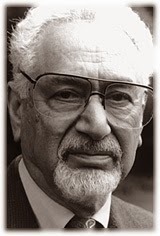 Kerman was a brilliant man who, though a musicologist, was able to write like a human being. Joe Kerman died just a few weeks shy of his 90th birthday (he was born in the same year as my own father). To take “Introduction to Musicology” from this man was a life-changing experience. I will never forget his generosity in seminars and in the two independent studies I was fortunate enough to be able to take with him (on Sibelius and on Berlioz). His death leaves a massive void in the hearts of his former students, and really the entire profession. Re-posted, with kind permission, from National Review / Digital, April 7, 2014. It's not our biggest problem, or even in the top ten, or top 100. But it’s still a problem, I think: the overamplification of American life. I have long held this view, but have been spurred to write about it by recent events. I went to the New York Philharmonic to review a performance of Sweeney Todd, the Sondheim musical. (Every season or so, the Philharmonic will stage a musical, for variety’s sake, I suppose, and maybe for the box office, too.) The cast was a mixture of classical and Broadway performers. In the title role was Bryn Terfel, the great Welsh bass-baritone. It was a shock to hear him sing into a microphone. The sound was unnatural—Terfel-like, but not quite Terfel. There is no hall anywhere that he can’t fill, naturally. Was it really necessary to mike him? To gild that lily? But as amplification goes, the Philharmonic’s Sweeney was tasteful. Certainly as compared with the next night—when I found myself in Minneapolis, at the Dakota Jazz Club & Restaurant. My friends and I enjoyed a nice dinner, then settled back for the show. Onstage were the musicians of Viva Brazil. They were good, and so was the music they played and sang. But the volume was absurd—painful, assaultive, and anti-musical. We had to leave, and quickly. Complaining about the sound of music—not in the Julie Andrews sense—is a classic expression of fogeyism. But I can plead this: If I’m a fogey, I have always been. When I was in high school, a musician friend of mine asked me to go with him to hear Pat Metheny, a jazz guitarist. My friend said he was first-rate. That night, he may well have been—but the amplification was so great, I could hardly hear him. I could not really listen to the music. It was a question of enduring the sonic assault (which I could not do for long). The loudest music I ever heard in a concert hall or opera house—unamplified—was in Salzburg’s Grosses Festspielhaus. The opera was Das Rheingold, the first installment in Wagner’s Ring. The orchestra in the pit was the Berlin Philharmonic. When the giants (Fasolt and Fafner) came in, the ground shook, thrillingly. And when Wotan and Loge descended into Nibelheim, I thought the house would break apart. It was beyond thrilling—and entirely musical. Of course, these were just moments, not an entire evening. There were no microphones on that night, as far as I know, but, more and more, microphones are creeping into the opera house. After one performance, a friend of mine said to a singer friend of his, “You sounded almost miked!” The singer admitted she had been. This is not merely a matter of “cheating”—a matter of using artificial means to do what your technique fails to do. Miking distorts, warps, or at least alters sound. For a long time, Broadway musicals have been rock concerts—amplified to that extent. Singers prance around wearing headsets, with sticks at the side of their mouths. Even the plays are routinely and heavily miked. People seem to have forgotten how to speak—on Broadway and off. Music is not a democracy, but I would have been interested to see a vote—by secret ballot. If the room could have voted on whether to turn down the volume, by a lot, what would the results have been? It could be that most people don’t mind the amplification at ballgames, and at wedding receptions, and in restaurants, or elsewhere. Incidentally, that elsewhere includes movie theaters. The flicks are no longer out of focus. But have you noticed the volume? And that the previews are much louder than the movies? A friend of mine—it was Rich Lowry, National Review’s editor — recently said, “The previews are positively punishing. You can hear them through the soles of your feet.” Maybe most people don’t mind what I consider “overamplification.” Perhaps they like it. But are we sure we would know for sure? That boy in the Dakota, with his fingers in his ears, has not yet learned to conform. Jay Nordlinger is a senior editor of National Review, whose column "Impromptus" appears in National Review Online. His music criticism also appears in The New Criterion and CityArts; additionally he hosts a series of interviews with prominent classical musicians annually at the Salzburg Festival. Lately, however, the times have been dictating quite a lot to Silvestrov. He apparently went to the Maidan with some frequency during the protests and has composed a series of pieces in response to each new turn of events. “I went to the Maidan, but what could I do?” HERE we find him wrapped in the Ukrainian flag at a memorial event there; as well as two songs he wrote in response to the events of January 18–19, 2014. HERE are the two songs composed and recorded by Silvestrov immediately after Nigoyan’s murder. The first sets the very same Shevchenko lines read by Nigoyan.<3> It is written in a style reminiscent of Silvestrov’s Quiet Songs (1973–77) and his associated “kitsch” songs (among them the Simple Songs, 1974–81). But its unsettled opening and more agitated delivery also recall the Four Songs to texts by Osip Mandelstam that Silvestrov composed in 1981 and 1982, when he said, “The prison atmosphere at this time depressed us. Eventually it was as if an electric storm hit me, and I had to write something as a sign of protest.”<4> The second of the recent Maidan songs in memory of Nigoyan sets the burial prayer “Lay in rest with the saints” (“Со святими упокой…”). This song is more reserved, a return to the repose of the Quiet Songs. The DIY intimacy of the recordings dominates their affect: vulnerable yet determined, solitary yet meant to circulate on a global stage. Judging from some local responses to the songs, Silvestrov has managed to capture the grief and hope of the moment. His setting of the Ukrainian hymn (also from late January) “truly were a gift of minutes of peace and support,” as a journalist recently noted. In this same interview [LISTEN], Silvestrov expressed outrage over the Crimea situation, declaring, “I think that Putin is simply insane!” His statements reveal the tensions and complexities of the situation—the interlinking of Russia and Ukraine, culturally if not politically. Silvestrov distinguishes between the “political face of Russia,” which is says is “entirely covered in excrement,” and its “authentic face”: “Chaikovsky, Lermontov, Tolstoy, Dostoevsky, and the holy Orthodox Church.” He similarly divides Soviet culture, thereby making an explicit parallel between Putin and Stalin, which he amplifies later in the interview. He compares the situation in Crimea to the following: “You invite an acquaintance to your home as a guest, you put him in one of your bedrooms, and then he throws you out of the apartment.” Most interesting to musicologists perhaps will be his praise of the musical qualities of the Ukrainian hymn and his critical comments about the poor musical tastes of the pro-Russian activists in Crimea and the Anti-Maidan demonstrators: “Low, debased music only disgraces the image of Russia. In order to conquer you must have culture.” But as the opening and closing ceremonies of the Olympics in Sochi showed, the Russians are well versed in using “Kul’tura” (with a capital K) as a weapon. Peter Schmelz is Associate Professor and chair of the Music Department at Washington University in St. Louis. <1>Sil’vestrov and Frumkis, Sil'vestrov and Tat'yana Frumkis, “Sokhranyat' dostoinstvo. . . ,” Sovetskaya muzïka, no. 4 (1990): 16. <2>Quoted in Tatyana Frumkis, liner notes to Valentin Silvestrov, Symphony no. 5, Kitsch Music, etc. Musica Non Grata, BMG/Melodiya CD, 74321 49959 2 (1997), 3 (translation amended by me based on the original Russian in Sil’vestrov and Frumkis, “Sokhranyat' dostoinstvo. . . ,” 12). <3> Silvestrov had previously set texts by Shevchenko in his Cantata for a cappella chorus (1977) as well as in the Quiet Songs (no. 5, “Proshchay, svite, proshchay, zemle!”). <4> Quoted in Frumkis, “Eine lange Reise,” liner notes to Stille Lieder, ECM New Series CD, ECM 1898/99, 982 1424 (2004), 14. Those of us who are church musicians are always looking for new insights into sacred texts. Music scholarship can help us find and carry these discoveries to our choirs, congregations, and pastors. Such is the case with a book published just before the end of 2013, Psalms and Music by Max Stern of Ariel University (Jerusalem). I am well acquainted with this work because I had the privilege of indexing it. (There are actually three indexes: an Index of Scriptural References, an Index of Composers, and a General Index.) It was a treat for me to be able to contribute to a treatise that coincides with my academic background (a degree in music history from the University of the Pacific), and a still greater pleasure owing to the depth and breadth of the scholarship I found there. Since Stern is based in Israel, his work is perhaps not so well known in the United States, but this book (and its companion work, Bible and Music, 2011, both published by Ktav Publishers in Brooklyn, NY) is a resource of real significance for church musicians and scholars. 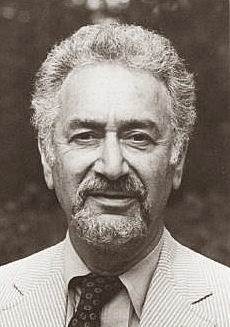 Max Stern (b. 1947) is a composer, conductor, musicologist, and music critic whose compositions represent a synthesis of East and West in contemporary and traditional genres. He received the Israel Composers’ League Lieberson Prize in 1990 and an award from the Japanese Society for Contemporary Music in 1991. Stern has also participated in international festivals and conferences as composer, conductor, and lecturer. In Psalms and Music, he treats the history of psalm settings, from early Christian church music to modern jazz and Mediterranean pop-rock. For the indexer, Psalms is the “metatopic”: everything in the book relates to this one subject. Thus the entries become Psalm categorizations, Psalm settings, Psalmody, Psalms by type, occasional Psalms, Psalters, and of course, just plain Psalms: Temple psalms, Hallel psalms, Hallelujah psalms, psalms for morning and evening prayer, for Easter, Hanukkah, Purim, and the Tenth of Tevet. It is a long list. As for the music, Stern chooses examples from every age—Baroque polychoral style, for instance (Schütz, “Danket dem Herrn, denn er ist freundlich”), to neo-Hasidic music (Schlomo Carlebach, “Eso Enai”)—for analysis and commentary, emphasizing the composers’ common goal of capturing the spirit and spirituality of the chosen psalm text. 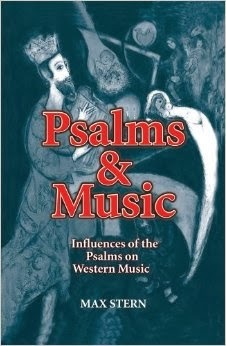 An Appendix, occupying nearly half the book, lists each of the 150 psalms and the musical settings they have fostered. For Psalm 1 (“Blessed is the Man” / “Beatus Vir”), we find 35 compositions, the earliest by the noted Slovenian Protestant Primož Trubar (1508–86), and the most recent by such composers as Levente Gyongyosi (b. 1975, Romania) and Jane Marshall (b. 1924, Texas). Psalm 150 (“Praise Ye the Lord” / “Laudate Dominum” / “Singet dem Herren ein neues Lied”), at the end, finds 111 settings, by such composers as Clemens non Papa, J. S. Bach, Ives, Kodály, and Max Stern himself. Next comes a list of settings that use more than one psalm or a psalm and another biblical text; discography; bibliography; and my three indexes. Meridith Murray is a freelance indexer and church organist.